It is normal for everyone to go through the normal process aging. 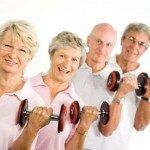 However, the normal process of aging would not necessarily cause dependence and physical limitations. Everyone, especially seniors are encouraged to engage in various physical activities, such as strengthening exercises and stretching exercises to help in keeping their muscles and body active. Seniors who engage in such physical activities are not just stronger and healthier than seniors who do not engage in any physical activities, but seniors who are physically active are also happier and have lower risks of developing depression and other psychological problems. Stretching exercises can be performed with the use of a chair or not. 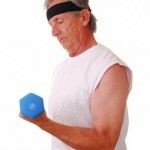 However, it will be much safer to perform stretching exercises sitting down, especially in seniors. 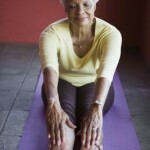 Performing seated stretching exercises can help in preventing falls and accidents, thus preventing injuries in seniors. Seniors have weaker joints and sometimes poorer balance coordination, which makes stretching exercises harder when done on a standing position. Seniors are not forbidden to perform stretching exercises standing up, just as long they can maintain their balance all throughout the exercise, and they will not overstretch or overdo the stretching exercise, for it can cause muscle tear and other forms of injuries. This type of stretching exercise focuses on stretching the lower back muscles, which can commonly cause lower back pains in seniors. This type of lower back stretch is done on a seated position for seniors to easily perform. Here are 4 easy steps on how to perform the seated lower back stretching exercise for seniors. Sit straight on a chair and make sure that your buttocks and back is positioned straightly at the back of the chair. Place your legs shoulder width apart and place your feet flat on the floor. Place both your hands on your thighs for better support when you are going to perform the stretching exercise already. Once your hands are in place, slowly bend your back and lean forward. Always remember to keep your back straight. You can feel then that your lower back muscles are stretched. Just lean as far as you feel comfortable. NEVER OVERSTRETCH to prevent injuries. Slowly and gently return to the starting position as you round your back. Doing so can also stretch the upper back muscles as well.